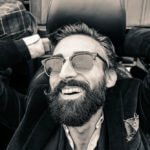 Does Beard Balm Provide Styling? Should You Use Beard Balm With Other Products? Should You Use a Beard Brush or Comb When Using a Balm? Selecting the Very Best Beard Balm For You or Making It Yourself? When it comes to beard care, one of the less popular products is beard balm (especially when compared to beard oil). Beard balm is like the middle child of the beard care world and often gets confused with other beard related products like beard oil, beard elixir, beard conditioner, beard wash, and heck even beard water (yes thats a thing we learned about recently as well)! To understand what a beard balm is, its important to first understand the ingredients that are within the actual balm itself. 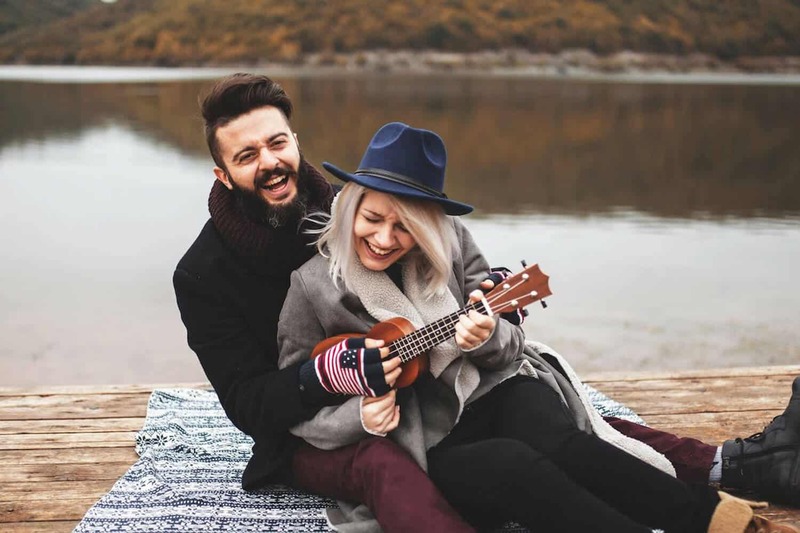 Carrier oils – Not only found in beard balm, carrier oils are an incredibly popular type of oil that is found in many beauty and skin care products for both men and women alike. Their primary role within these products is to provide both moisture and nourishment to your skin and beard follicle. To fully understand the benefit of a carrier oil, its important to look at what goes on with the surface of your skin a bit closer. At the base of each one of your beard follicles you have these tiny glands called sebaceous glands. These glands are responsible for discharging an oil called sebum oil. Sebum oil’s primary role is to keep your skin moisturized and helps to reduce dry skin from flaking – and if you have a beard – sebum oil helps to prevent beardruff (i.e. dandruff on your beard). Some of the most popular carrier oils on the market that you will typically see within beard balms are going to be oils like jojoba, argan, sweet almond, and grapeseed. There are several other oils as well, however these are just a few of the more popular ones. If you have severely sensitive skin, typically its best to use an oil like jojoba as its mild when compared to some of the others listed. Of course when testing out any new skin care product, and especially if you have sensitive skin, its important to do an allergy patch test prior to a full application. Another oil that is incredibly popular is argan oil. Argan is derived from the argan tree (Argania spinosa L.) and is considered a nut. Therefore if you, or someone that you are close with (i.e. wife or child), has a severe nut allergy, you may want to steer clear of this oil just to be safe. Now some dermatologists have stated that any allergic reaction from argan oil may be actually due to the preservatives within the product itself and not the actual argan oil. Regardless, its just something to keep in mind when selecting a beard balm. One of the most common questions that beardsmen may ask around the use of beard balm (as well as beard oil) is that if they are susceptible to having acne, would be if its really a good idea to apply a product that contains oils to your face regularly? From what we gathered in a few Google searches is that if a product contains milder oils, like jojoba, it will help even out the oil distribution from your sebaceous glands. This leveling of oils shouldn’t cause an uptick in acne production. However its always recommended to consult with your dermatologist for more serious questions. Another important point when it comes to carrier oils is that they actually deliver a lot of great benefits. While the list is to exhaustive for this post, a simple search of “[CARRIER OIL]” + benefits will yield a ton of information. Essential oils – While carrier oils are responsible for delivering a lot of moisture and nourishment within the beard balm, essential oils help to deliver a great fragrance along with some extra benefits for your skin as well. Essential oils can be derived from many different sources. Typically in any tin of beard balm you can see essential oils derived from lavender, clove, tea tree, sandalwood, cedarwood, pine, citrus, lemon, and many more. Their sole use is to deliver a nice subtle scent to your beard. While some beard balms can smell pretty potent ant first, essential oils tend to dissipate as the day wears on. For the most part, you can expect any beard balm to largely retain its fragrance for the first couple of hours. If you applied it while you were getting ready for work in the morning, you shouldn’t have but a very light lingering scent (if at all) by lunch time. Now there is a very important point of distinction when it comes to essential oils versus “Fragrance” (parfum) that is sometimes listed on skin care products. If you see Fragrance on a side of a beard balm, this is not the same as essential oils – even if on the front of the beard balm tin its marketed as Pine, Sandalwood, or any other scents – point is, always read the ingredients. Within the beauty and skin care industry, Fragrance is actually an umbrella term that can contain upwards to 3,100 ingredients/chemicals! In fact the Environmental Working Group gave Fragrance a very high hazard rating of 8 (on a scale of 1 – 10). The downfall of Fragrance is that it is a known immune system toxicant, possible respiratory toxicant, among several other issues. In addition, depending on the composition make up of the Fragrance, the scent could either be subtle or one that will last all day long. Therefore we recommend that its always best to avoid a beard balm (or any beard related product) that includes the term Fragrance on its ingredient list if possible. Beyond the actual smell of an essential oil, these natural oils actually provide some great benefits as well. 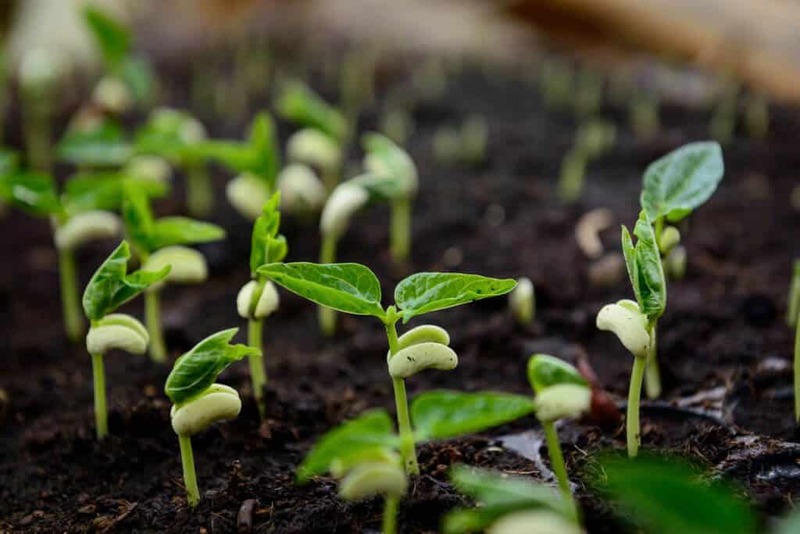 For example, when taking a look at tea tree oil, its naturally an antiseptic that will help reduce the occurrence of acne, in addition it will help to repair skin blemishes, and furthermore to help even out tone and complexion. Just like carrier oils, a simple Google search of the “[ESSENTIAL OIL]” + “skin benefits” or “hair benefits” will yield all sorts of drawn out research that touches on all the benefits of an essential oil of your choice. Spreadability agent – In order to give a beard balm its “balmy” properties, there is usually a spreadability agent added in of some sorts. The type of product can vary from manufacturer to manufacturer. However by and far the most common is going to be a shea or cocoa butter. These butters are usually found in all sorts of lotions and do a terrific job at converting a beard balm from a waxy block into something that is a bit more malleable. In addition, it will also add a terrific layer of moisture to the carrier oils that are already contained within the product. If you are vegan, this is the one beard balm ingredient you want to be mindful of. Some beard balms will contain animal derived products. Most notably is that you may see Emu oil which is derived from the fat of an emu. On the other hand there is an ingredient that we found in our best rated beard balm that contained lanolin. Which is the natural oil found in a sheep’s wool that has been expelled and collected. To our knowledge, lanolin collection does not harm the sheep as its extracted from the wool after its been removed from the sheep. Beeswax – An additional product that gives beard balm its distinct property is the inclusion of beeswax. Beeswax will help to provide a very slight hold for your beard (we’ll touch on this more in a minute). Beeswax does also have some great properties for your skin as well. Most prominently it will help to act as a protectant by blocking out natural pollutants that you may encounter through out the course of any given day. Of all the ingredients within a beard balm, the beeswax acts more so as a binding agent when compared to all the other ingredients. If you were to make your own beard balm (which is incredibly easy to do), and leave out the beeswax, the balm would just be a soft near liquid of just oils and butter. Simply put, the beeswax helps to solidify everything. When deciding to purchase a beard conditioning product for the very first time, novice beardsmen are often confused at the difference between these two products. As we just outlined the ingredients above, beard oil contains two of the same exact ingredients as a beard balm – carrier and essential oils. 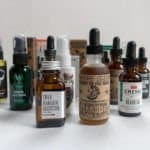 Therefore all the great benefits that you realize in those two ingredients when applying a balm are the same that you will get when applying a beard oil as well. Now according to some within the bearded community feel that balms are more suited for harsher conditions. Therefore if you are experiencing brisk northern winters or live in a desert like in the southwest (think Las Vegas or Phoenix), then there likely is some truth to that train of thought. The additional butter and beeswax can help to both provide an extra layer of moisture along with a protectant to help lock in the moisture. However for all the men not in those climates, you can use either product in place of another. Now if you do have a severely dry beard or very prevalent beardruff, then there are some beardsmen that use both beard oil and beard balm together (first applying beard oil then a balm to help lock in the nutrients from the carrier oils and butters). In short – kind of. Unlike a mustache wax that can really make your beard bend and conform to any shape imaginable, a beard balm is going to give you a light to medium hold. However, here’s where beard balm can help. Chances are that after you apply a beard balm you will need to comb your beard. With the application of beard balm, the beeswax will provide a slight hold throughout the day. This is a terrific advantage that beard balm can deliver where a beard oil simply falls short. Therefore as your beard gets longer (typically longer than an inch) a beard balm will be able to provide a slight hold to tame any wild whiskers that may be going astray. Its important to note as well that if your mustache is beginning to curl up into your mouth or getting in the way of your food, beard balm is only one part of the equation. 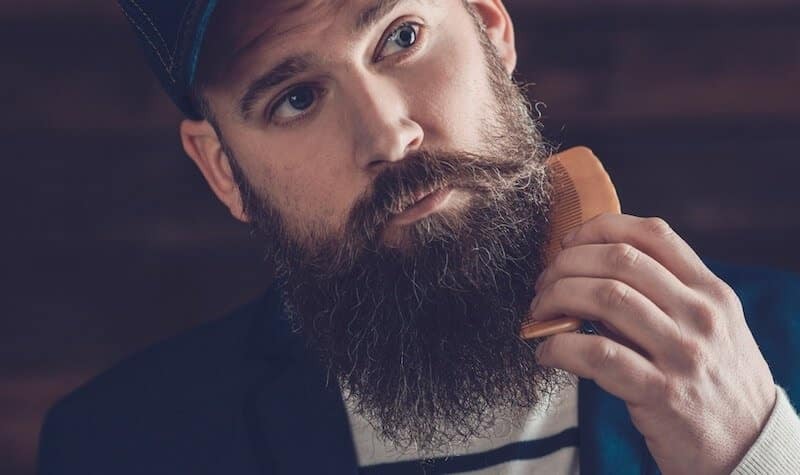 Typically what beardsmen will do a few things to get rid of this annoyance – first they may use a balm with a medium hold and then a mustache comb to help train their mustache follicles to grow to the side. A secondary technique would be to apply just a small amount of mustache wax in combination with a beard balm to just your mustache to help keep the wirey hairs in check. Depending on the dryness of the climate where you live, more often than not beard balm will be more than sufficient when it comes to keeping your beard and the skin beneath your beard in excellent shape. However, there is one facet to the grooming routine for beards that most men often trip up on – the actual cleansing of their beard. 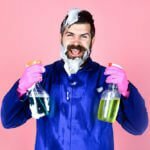 For some reason beardsmen take such gentle care in selecting the right beard comb or boars hair bristle brush for their beard, careful selection of a beard oil or balm that has just the right ingredients that won’t harm their beard – but as soon as they jump into the shower all bets are off. If you are using a bar of soap or relatively cheap shampoo to wash out your beard every few days you need to stop. You see when you use a beard balm or oil it adds a lot of great moisture to your skin. But when you use a cheap cleanser on your beard you strip out all the oils (and then some) that will completely dry out your skin. This helps accelerate the process of beardruff as well too! Therefore if you are looking to keep your beard in great shape by applying beard balm regularly, don’t forget to also include a proper beard wash as well. To help get you started on selecting the right one, be sure to check out our review of the best beard shampoos on the market. A well rounded beard care routine will leave your beard looking healthy, feeling soft, and most importantly, free of any beardruff. A beard comb is more about styling your beard. Therefore if you want maximum control on how your beard appears throughout the day, be sure to pick up a beard comb. Just remember beard balms in general provide a slight hold for your beard. There are some balms that provide more of a medium hold for more styling control. But if you want maximum hold that will allow your beard to form to any shape possible, then you will want to also explore mustache waxes as well. 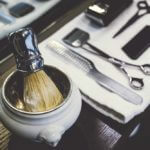 On the other hand if you have a few little patches on your beard, or simply that your beard is a bit on the thinner side, a boars bristle beard brush will help to make your beard appear a bit more fuller. Brushes also do a terrific job at evenly coating the oils from a beard balm (or even a beard oil) evenly throughout your beard. This is especially true for animal hair based fibers as they absorb the oils slightly allowing for a great distribution. While we eluded to in brief above, making your own beard balm is an incredibly easy task to do. 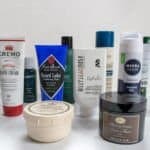 In fact we have a whole list of recipes for beard balms along with an entire guide on how to make your own beard balm. While the upfront costs may be a bit higher to make your own beard balm, you will realize the savings immediately when comparing it to what the average retail cost is. Now with that being said, if you are looking to try out your first ever beard balm, we strongly recommend you to check out our best beard balm post where we stack up the biggest competition in the field. Once you know what a quality beard balm should be like, then you should definitely try making it yourself! If you have any questions about beard balms in general be sure to drop a line in the comment section below!